Ulysses (Junior) Harvey, 83 passed away January 28th, 2019 at St. Catherine’s Village, Madison, Mississippi after a lengthy illness. Services will be held on January 31st at 11:30 a.m. with visitation at 10:00 at Breeland Funeral Home in Canton, Mississippi. Burial will be at Canton Cemetery. Junior was born in Morton, Mississippi to Ulysses & Susie Harvey but moved to Canton at an early age. Junior attended Canton High School and excelled in all sports there. He played football in college at Hines Junior College and Ole Miss. He continued to enjoy all Ole Miss sports, hunting at Eagle Lake, and playing golf with his wife & friends his entire life. 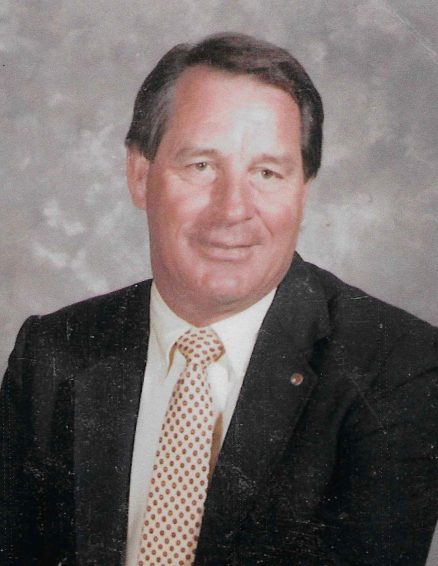 Junior worked at, then owned Roberts Insurance Agency in Canton for over 50 years until his retirement in 2017. He loved visiting with old friends that dropped by to talk about sports or just life. He was a good man, a loyal friend. He was a member of Madison United Methodist Church, a Mason & a Shriner. He is survived by his wife, Beverly Brockwell Harvey, daughter, Wendy Perry (Rusty), sons, Mike Harvey and Mark Harvey (Donna), step-daughters, Dawn Pope (Franklin), Gena Steele (David), and Susan Stepanian. He had granddaughters, Seward and Mary Russell Perry, and step-grandchildren, Jennifer Burnell(Tyler), Camille Moenkhaus, Jake Waldrup, Justin Pope (Emily), Ryan Pope (Amanda) and six great-grandchildren. He is survived by his sister, Diane Culipher (Alvin). His brother, Raymond Harvey, preceded him in death. The family would like to extend sincere thanks to the staff for the love and excellent care Junior received at St. Catherine’s Village Campbell Cove and Kindred Hospice. Special thanks to Jessica Lewis, for being so kind & caring. They said they enjoyed his dry wit and sweet nature. In Lieu of flowers memorials may be made to Madison United Methodist Church.